We are truly blessed. A school specifically for children with Autism has opened this school year. That alone is **huge**. I had been looking for this exact type of school for weeks, but unfortunately was having no luck and feeling horribly frustrated. I was so sad that we may have to split up our little family in order to find a school out of state when out of the blue a friend told me about this new school. I got off the phone with her and have never made a call so fast. I applied that day. They gave me paperwork to fill out and bring back. I went down to the coffee shop, filled it out and brought it right back. I was probably looking a bit loony, but the school was PERFECT. As if that isn’t enough, some of the best people Boog has worked with are the faculty! The school had a meet-and-greet a while back and some people probably think I was drugged or insane. I just walked around this completely redone building that was functional, simple, modern and every part designed for children with Autism. I kept hearing more and more wonderful things they planned for the near future. I kept seeing more and more familiar faces of people who have helped my son over these years with love, patience and kind hearts. I was overwhelmed with joy! 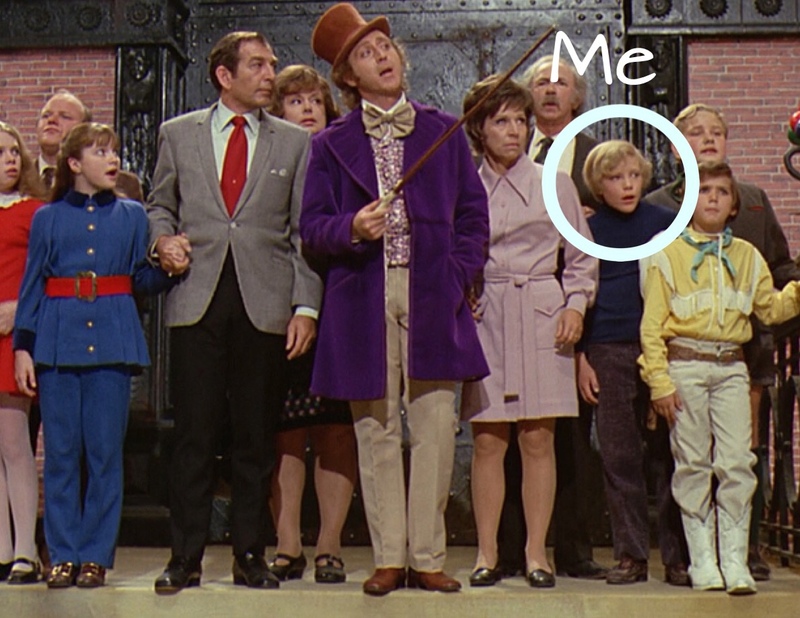 I literally looked like one of the kids from Willy Wonka and the Chocolate Factory seeing the vast room of candy for the first time. Before the school began children that were applied for had to go through a multi-day assessment. Boog knocked it out of the park all by himself. I wasn’t back there with him to cheer him on. He did it himself. He showed them what he could do, was working on and his amazing kind personality. Did I mention I was proud of him? The school has “levels” instead of grades. I love it so much. Grades are based by age, whereas levels are based on age/academics/independence. I remember kids that had to be “held back” to repeat a grade when I was in school. Looking back I can only imagine how that may have felt. Everyone knew that child had been held back because they weren’t in our classes anymore. Who knows what that did to their confidence or how lasting the effects could be. I was thrilled to have Boog in Level 2 (they have 1-3) and I was (yet again) incredibly proud of him. Then last week the faculty said they needed to speak with me after school for a moment about Boog, but it was good news. Even though they said it was great news repeatedly to me, I was still so nervous. I broke out in my highly annoying anxiety rash (bright red splotches on my cheeks, neck and chest). A mother of a child with special needs often has to have meetings and discuss an issue or something that needs to be worked on. That’s why my anxiety started. It’s almost like PTSD. You hear that a meeting is needed and immediately prepare for the news. Sometimes you agree and the meeting is informative and very useful. Sometimes those meetings mean standing your ground, advocating and refusing to back down. Unfortunately my fight or flight response begins when I hear “we need to talk”. I can honestly say this little meeting was one of my all time best moments of my life. Boog had only been at the school for about a month and a half and he was already moving to level 3! These caring people took the time to bring me in and tell me face-to-face. I was stunned, elated, proud, thankful, and overjoyed. I cried. Like baby I cried. I stood up and walked over to the CBT we had known the longest, grabbed her and cried. That in itself is beyond a dream come true. You know what else this means? Boog is *****one***** step away from general education. For years I had fought to have Boog in general education for even 30 minutes a day and was denied every time. I wanted him around more than just the same few kids in special education every day. How can you push yourself if you never understand or see the goal in person? It’s like training to swim without using a pool. It’s like not allowing a person to go see a movie just because they’re partially deaf and use sign language to communicate. It’s like not allowing a child to go to recess just because he’s in a wheelchair. My child was segregated. If you think segregation in schools was a thing of the past, you haven’t been paying attention. Yes, my son is non-verbal and that alone has pigeon-holed him for so long. It didn’t matter that he was typing more and more and his vocabulary was building incredibly fast. For years I have seen children move up to more challenging classes just because they could speak, not based on merit or academics. The very first meeting I had with the new school’s Director and staff had me floored. She just asked which way Boog preferred to type and on what device. In this school words are words. It doesn’t matter if those words are heard, signed or read. I’m so used to fighting. I’ve fought for over six years now. This school sees Boog’s potential. They believe me when I tell them he’s doing something new. They understand, and because of this understanding, they see Boog’s abilities and his potential. There’s no way I can thank them enough, but I will try.